Wow. Some great growth since last time i looked in. And the bud sites are starting to develop nicely. Well done. How are you liking the Nectar for the Gods line thus far? Continued best wishes on the grow. @Zannabis7, love the nectar of the gods, great stuff. @thewolf702, I'm certainly liking it so far. 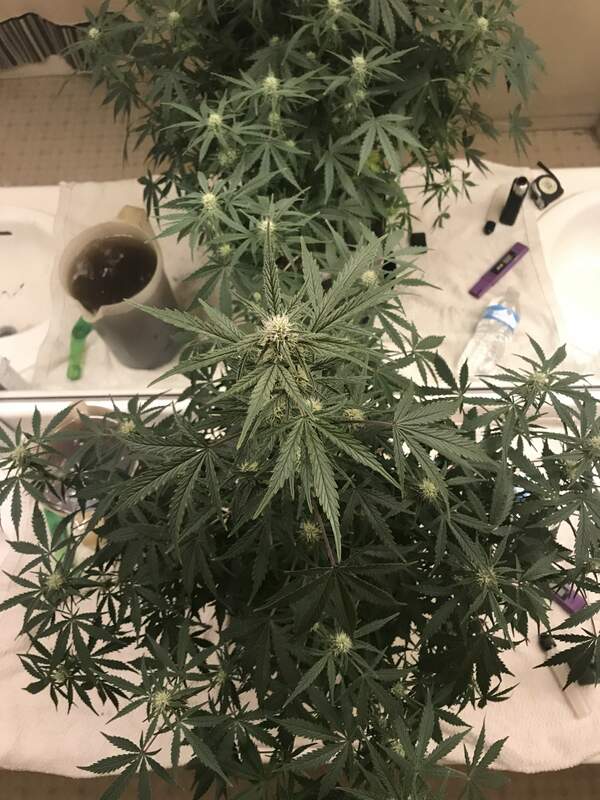 First grow with the Nectar line of nutes. Best wishes. Yes this one really make difference compare the sisters in your garden. Awesome and Huge. Jeez man this is stacking , have face this a follow as I'm growing a Gorilla also , should get some nice buds sites here man ! !